Investing.com – The dollar and the euro were little changed in rangebound trade on Wednesday as traders awaited a Federal Reserve policy announcement later in the day and looked ahead to Thursday’s European Central Bank meeting. The Fed is widely expected to raise interest rates for the second time this year at the conclusion of its policy setting meeting later in the day. With a rate hike almost fully priced in, markets are focusing on whether the Fed will signal hiking rates four times this year, rather than the three times its indicated earlier in the year. The dollar rose to fresh three week highs against the yen, with USD/JPY rising 0.21% to 110.59. 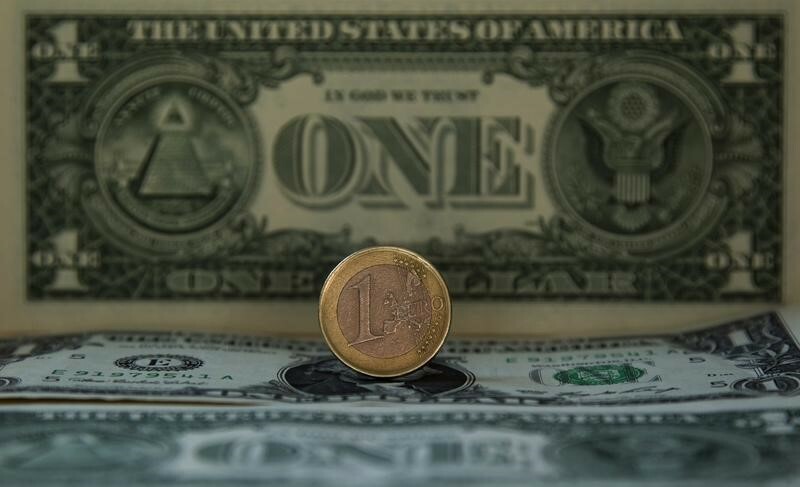 The euro was almost unchanged against the dollar, with EUR/USD last at 1.1746. The euro rose to three week highs against the dollar last week after hawkish ECB comments fueled speculation that the bank could signal its intention to start unwinding its bond purchasing program. The euro subsequently gave back those gains amid concerns that those expectations were overdone. The pound was a touch lower against the U.S. currency, with GBP/USD sliding 0.16% to 1.3350 ahead of the latest UK inflation report later Wednesday which was expected to show that consumer prices ticked up from a one year low last month. Elsewhere, the Australian and New Zealand dollars were little changed, with AUD/USD dipping 0.09% to 0.7564 and NZD/USD last at 0.7007.